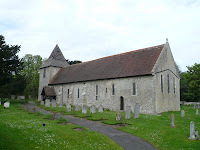 I went out from Itchenor today, headed up to Prinsted and back via West Thorney church. 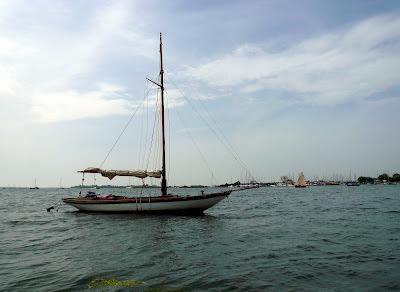 This very nice day sailer was parked up at Prinsted. West Thorney church is difficult to get to by land, being hidden inside a military base, but it is easily accessible by water, being just a few yards from the slipway at Thorney Sailing Club. So I hopped out, pulled the boat above the tide line and walked over to the church but is was closed darnit. More frustration when I got home. I recorded my track on the Satmap, but it includes lots of driving detail that is not relevant here. But I can't work out how to delete parts of the track. Anybody got any ideas? Plans for a racing shell in wood?